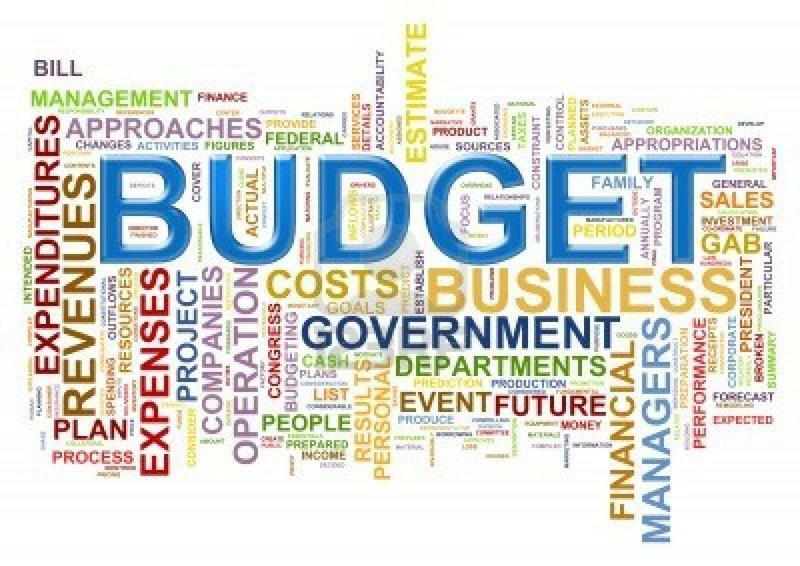 House Democrats will take another look at a Senate-approved spending plan next week as a way to end a two-year budget stalemate. Illinois House Democrats say they will not vote on a state budget on the last scheduled day of the spring legislative session. 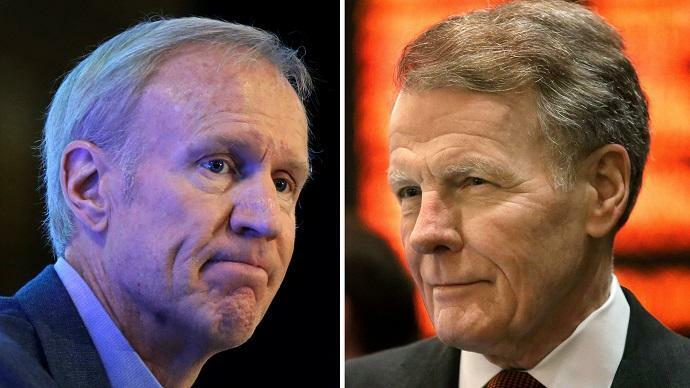 Bruce Rauner says an undisclosed third party tried to help strike a budget deal between the Illinois governor and his main political rival - House Speaker Michael Madigan. After calling for daily meetings with Illinois' top leaders ... Governor Bruce Rauner called off one that had been scheduled for Thursday. In a statement ... his office said Democrats were unprepared for the next steps in budget talks. Thursday, the Republican took that message to voters, with a video on social media. A weekend of meetings between Illinois' top leaders brought the state no closer to a budget deal. Amanda Vinicky reports. 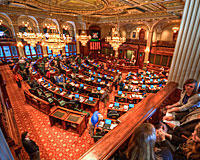 Illinois legislative leaders have made little headway in the latest weekend meeting at Republican Gov. Bruce Rauner's offices on a budget deal as Democrats broached the issue of how President-elect Donald Trump's policy's might alter some Illinois' financial calculations. 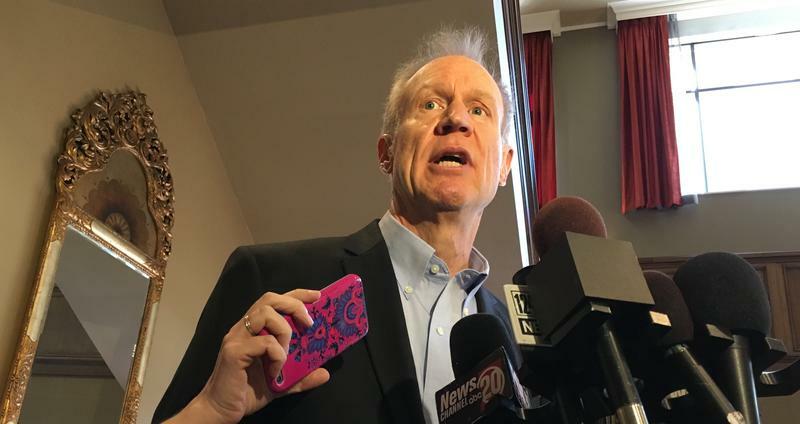 While leading Democrats were in Philadelphia for the Democratic National Convention last week … Republican Governor Bruce Rauner was holding press conferences exalting term limits. The republican candidate in the 117th district Illinois House race says his opponent in November is too loyal to Speaker of the House Michael Madigan. 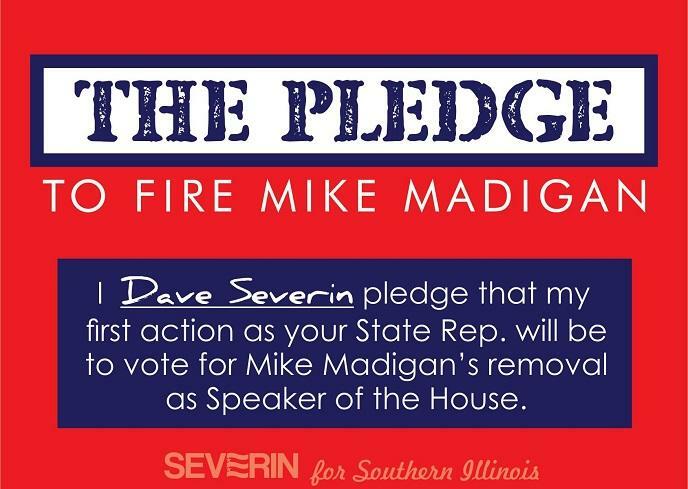 Dave Severin is calling on 117th district representative John Bradley and all of his colleagues in the House to take a pledge to fire the longtime Speaker. 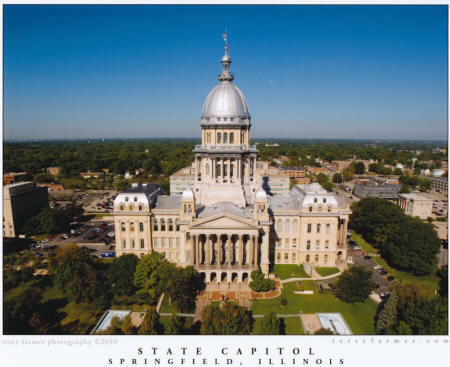 The Illinois House was supposed to be back in Springfield Wednesday. Not anymore. 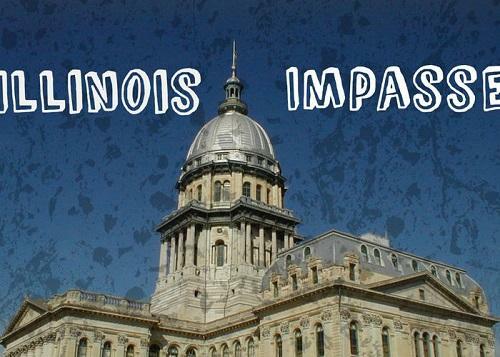 An attempt to add a surtax on Illinois millionaires failed in the Illinois House. 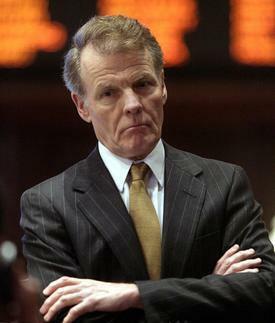 House Speaker and Democrat Michael Madigan has backed the idea that would raise more money for schools. 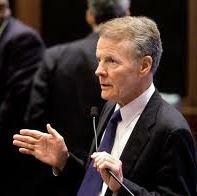 Governor Bruce Rauner has postponed the November 18th budget summit because a family matter will prevent House Speaker Michael Madigan from attending. Governor Bruce Rauner is out with his plans for his meeting with the legislature's leaders on Wednesday. Rauner's office sent his agenda Friday evening... and disclosed that he intends to hold it in his Springfield office. The state's most powerful Democrat says the Illinois House will approve a temporary budget to ensure continued services as a new fiscal year starts Wednesday without a spending agreement. 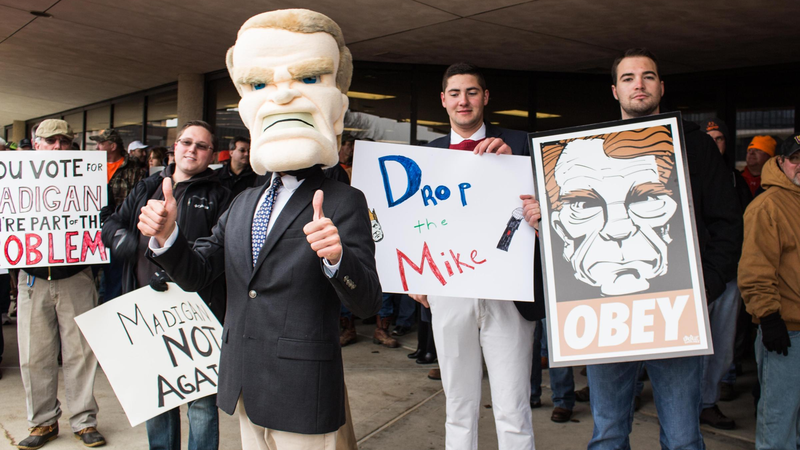 House Speaker Mike Madigan's renewed push for a constitutional amendment has gotten backing from a variety of education groups that are often at odds with one another. Dusty Rhodes reports. Illinois' longtime House speaker has renewed a push to tax the state's millionaires to boost funding for schools. 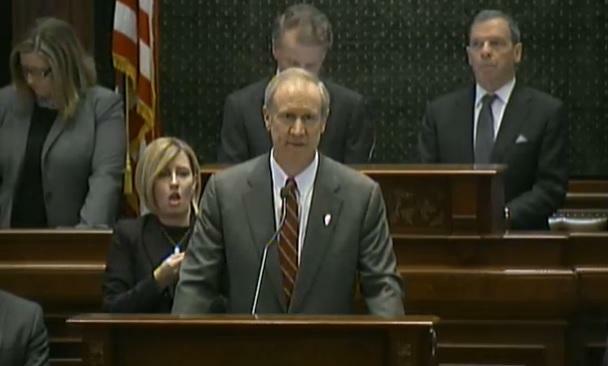 The swath of cuts Governor Bruce Rauner proposed this week are aimed at next year's budget. His speech was the start of negotiations that will last months. But first, there's a more immediate budget problem that needs fixing. Amanda Vinicky reports. 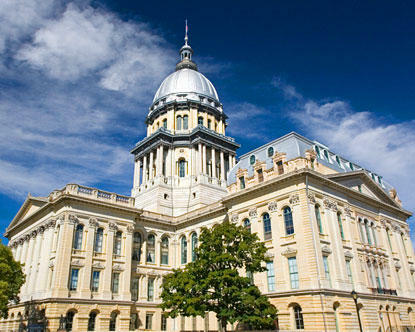 Illinois' new governor and legislative leaders are figuring out how to deal with shortfalls in this year's budget. 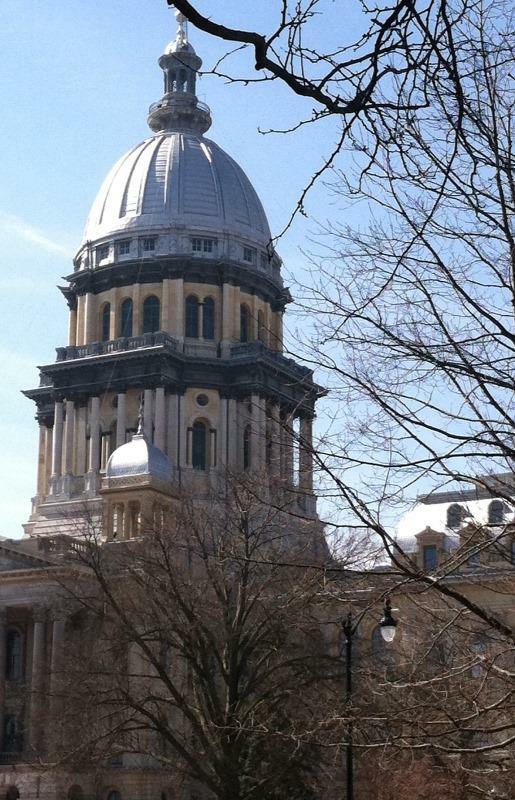 Illinois lawmakers return to the Capitol Monday, with just two weeks remaining until they're scheduled to adjourn for the summer. All eyes are on House Democrats, who seem to be the key holdup in coming to an agreement on the state budget. 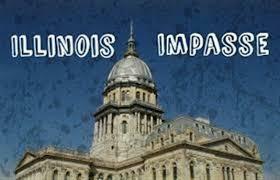 Democratic leaders all say Illinois ought to make 2011's temporary tax hike a permanent one. They say letting the tax roll back as scheduled for the end of the year would bring drastic cuts in state spending. 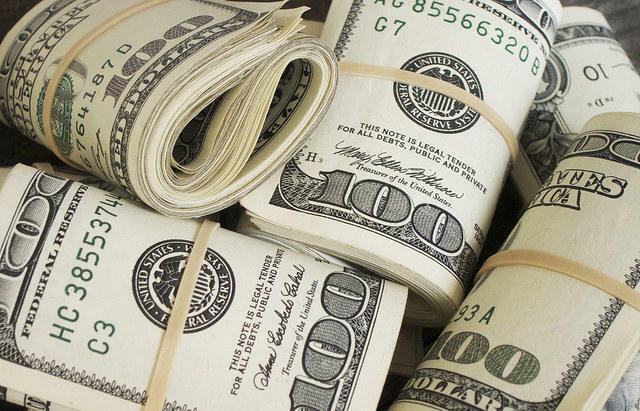 One of the most powerful Democrats in Illinois is calling for a drastic reduction in the state's corporate income tax. Hannah Meisel reports. 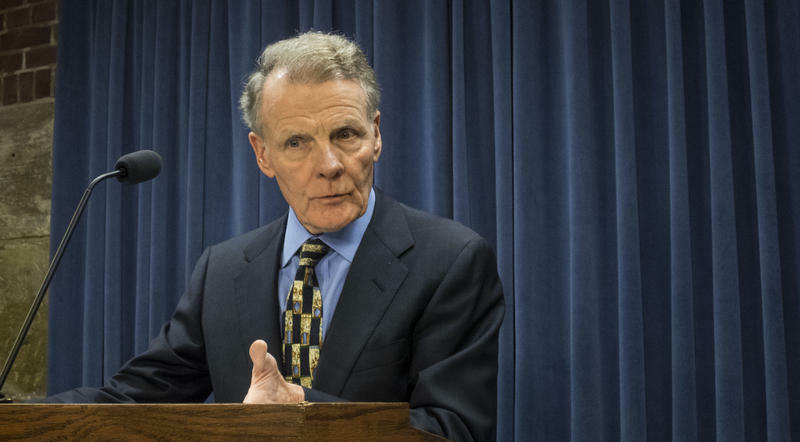 House Speaker Michael Madigan is proposing cutting Illinois' corporate income tax rate in half in an effort to improve the state's business climate. A new analysis says a union-backed pension overhaul would bring Illinois significantly less savings than originally claimed. But the sponsor of the pension legislation says the findings are incomplete. Illinois Public Radio's Amanda Vinicky reports. Illinois House members say Senate President John Cullerton's pension-reform proposal saves at most only 60 percent of what the Chicago Democrat predicts. The Illinois Senate is pursuing its own legislation to overhaul the state's underfunded pension systems. That puts it at odds with the Illinois House, which last week passed a significantly different plan.